Who is the primitive? 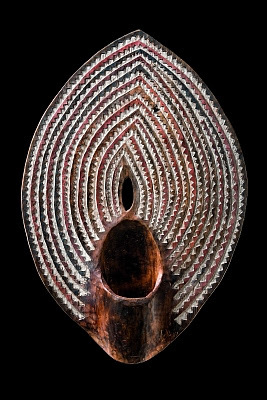 Both Felix Deac and the unknown Kikuyu warrior used female genitalia as a motif in their art. 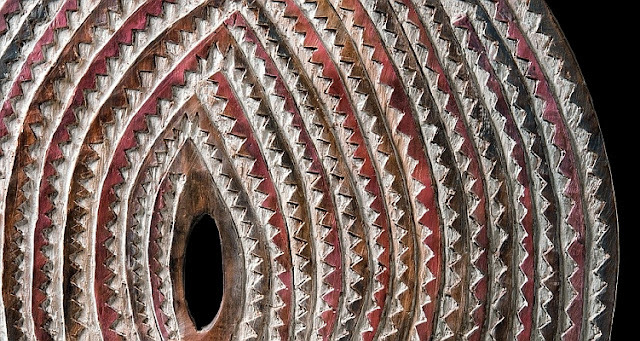 left: Felix Deac, Live stock media technics, 2010.
right: Such shields were made by Kikuyu warriors (Kenya).